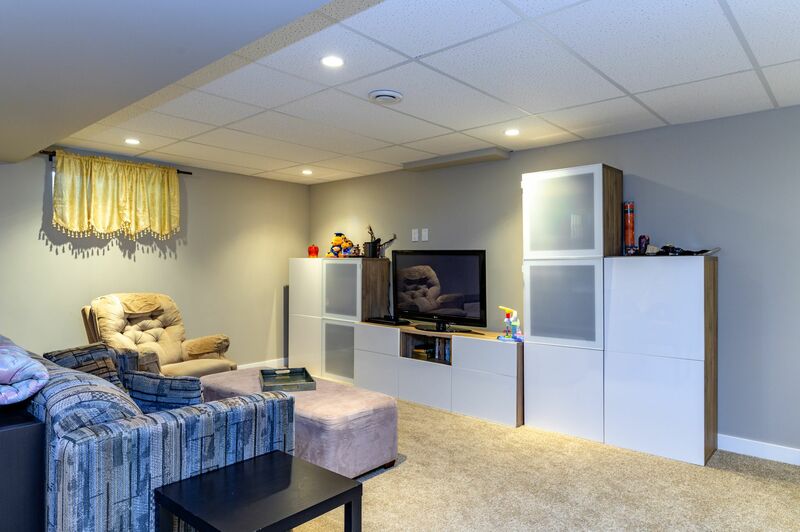 Spacious 2464 sf home, wonderfully located with no neighbors to the rear. 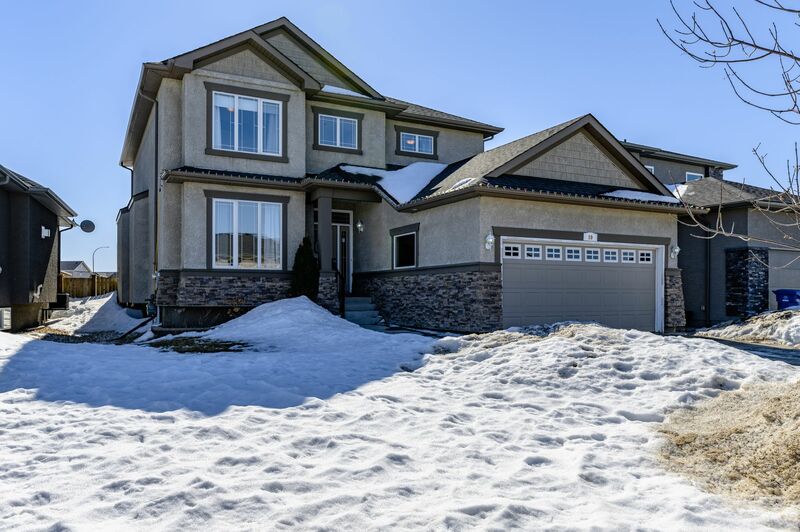 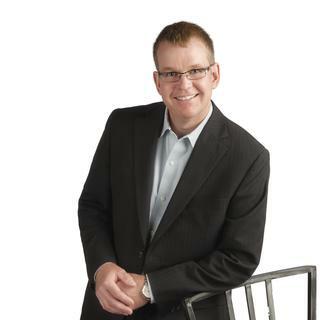 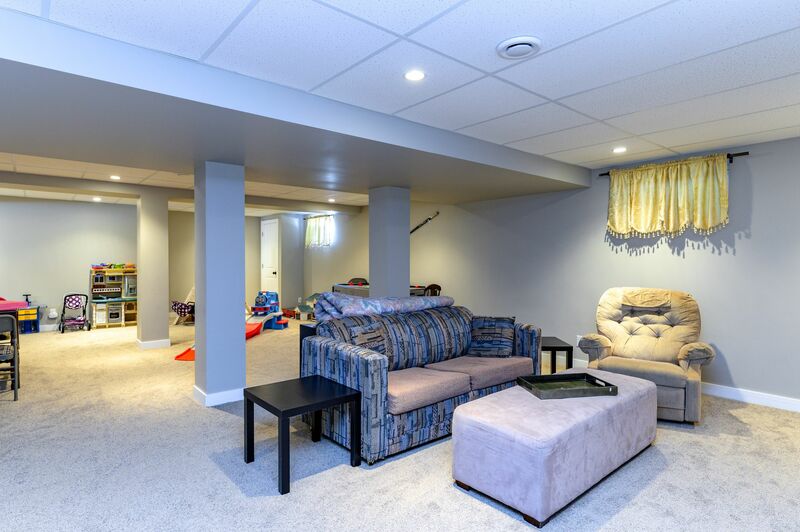 Lots of space for a growing or extended family with four large bedrooms plus a fifth proper bedroom in the basement. 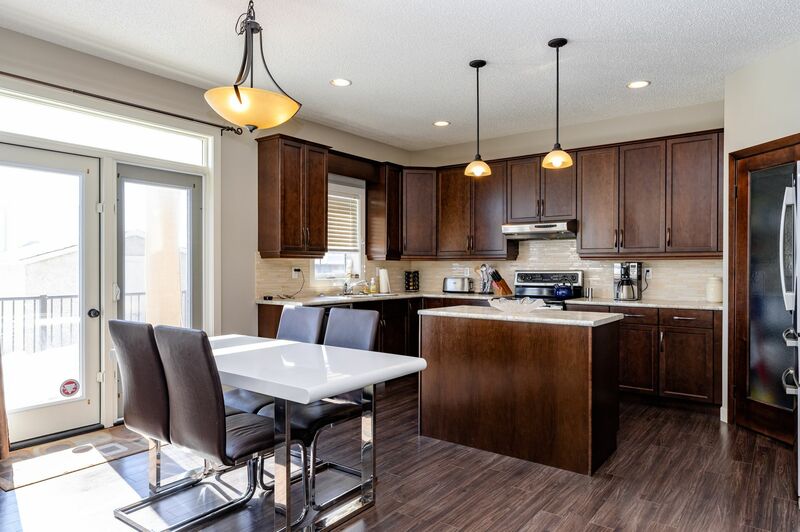 The large eat-in kitchen features expresso stained maple cabinets with 40" uppers, island, corner pantry, ceramic backsplash & staineless steel appliances. 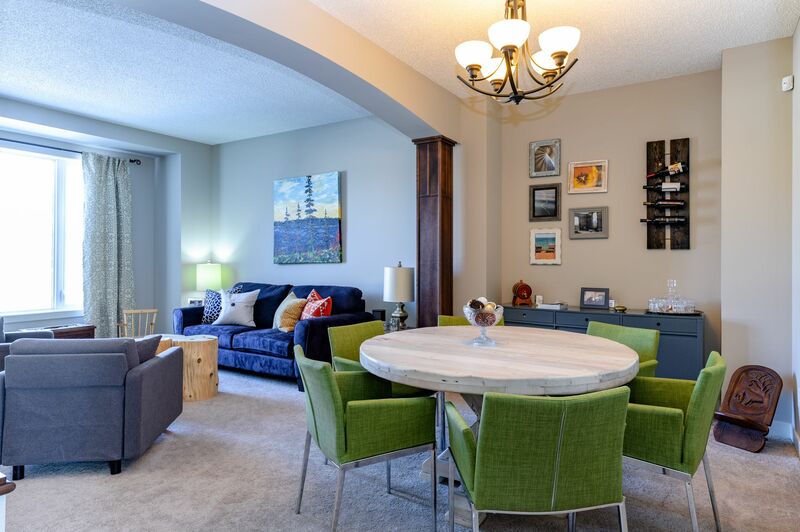 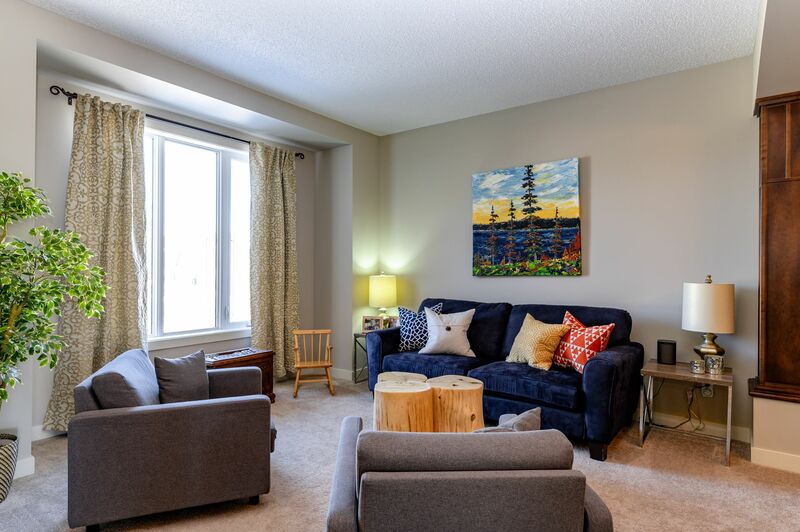 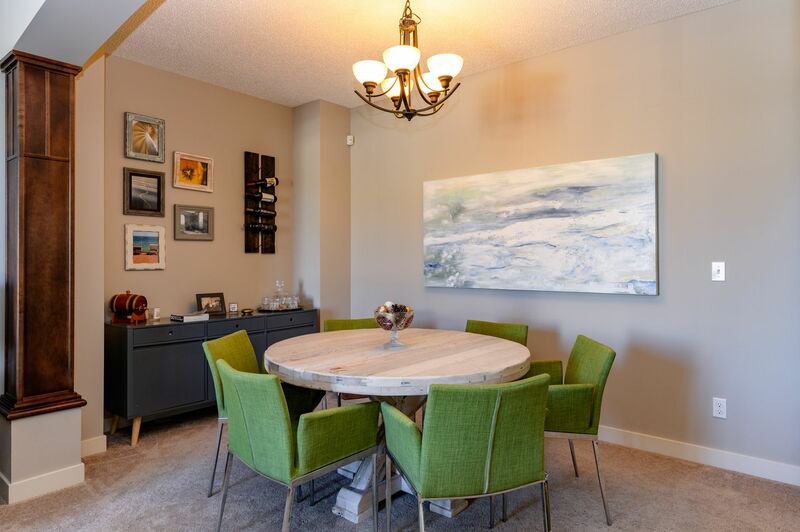 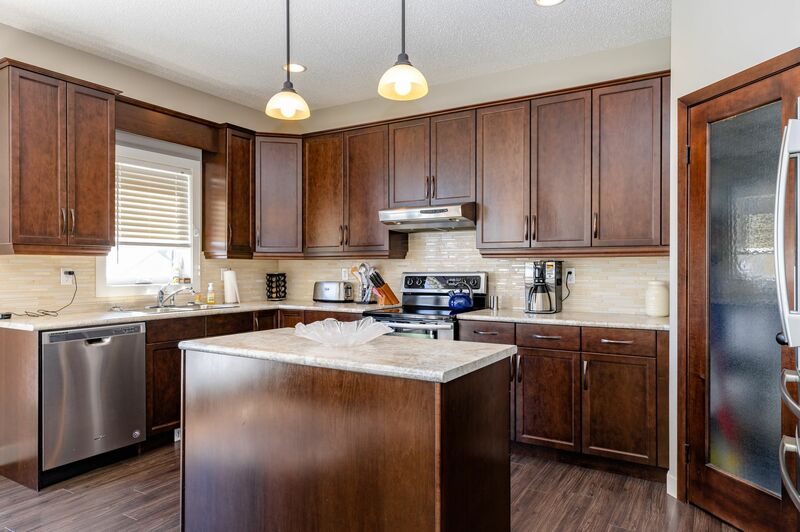 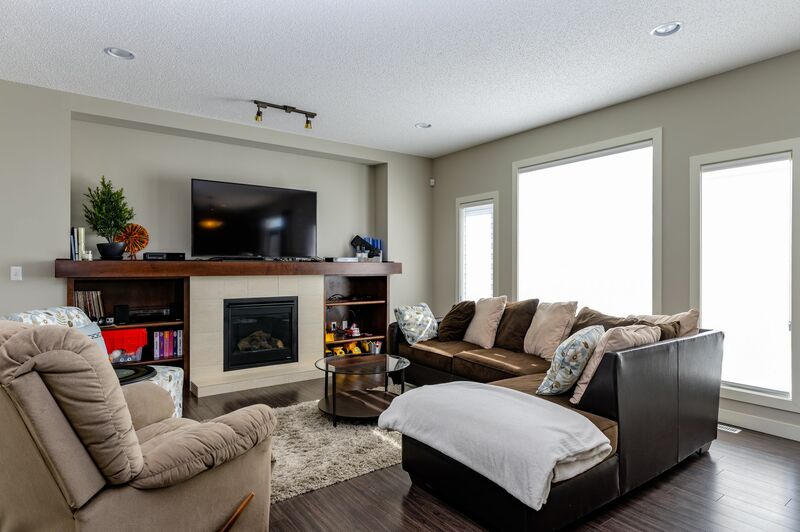 The kitchen is open to your family room, with cozy gas fireplace, as well as built-in shelves & entertainment unit. 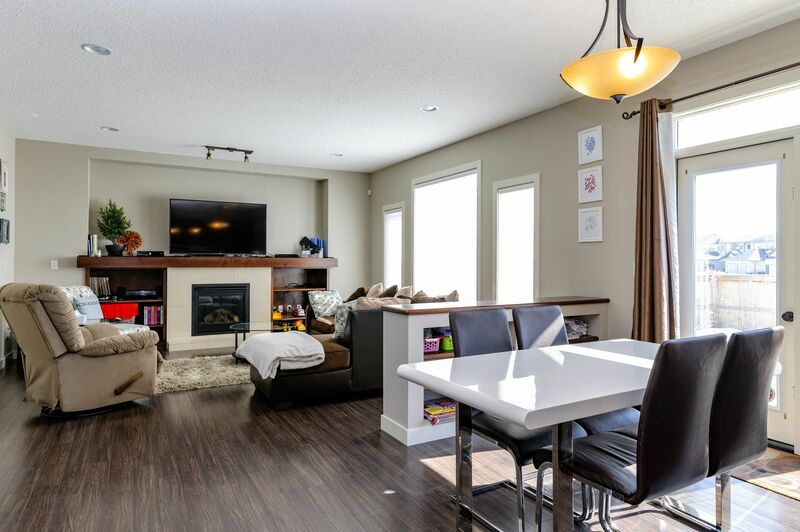 Both the kitchen and family room have south exposure windows, that allow for a ton of natural light. 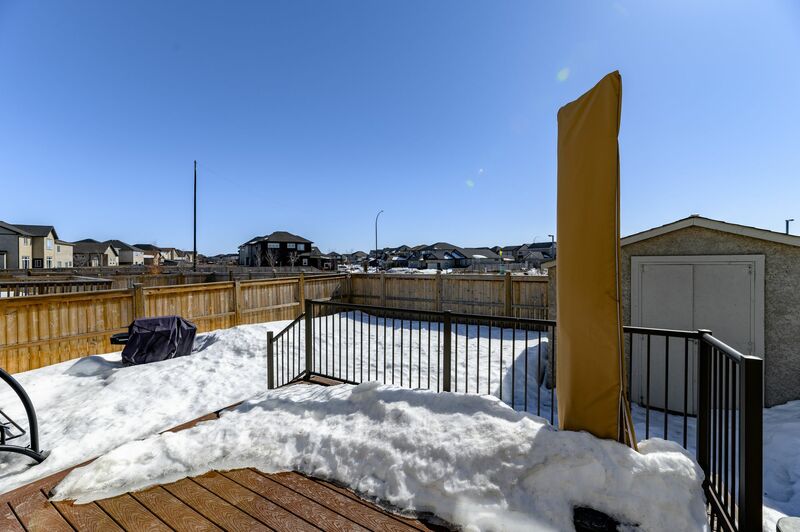 Off the eating area, there is a garden door that leads to the south exposed rear yard with newer composite deck & patio. 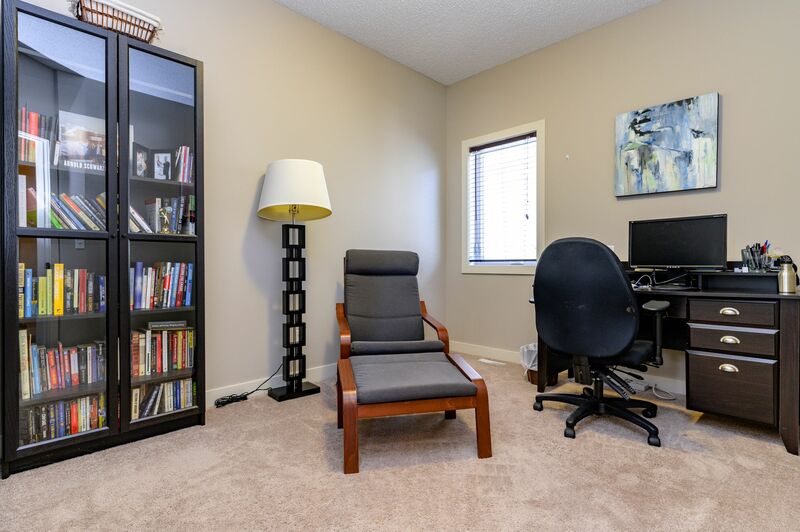 The main floor space also includes a formal living room & dining room, plus a home office/den. 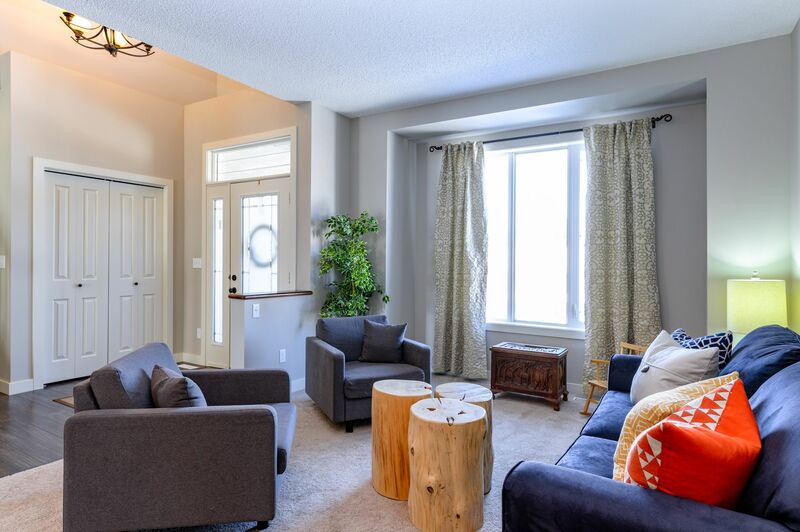 A grand, open staircase, with wood bannister and metal spindles, leads you to the second level. 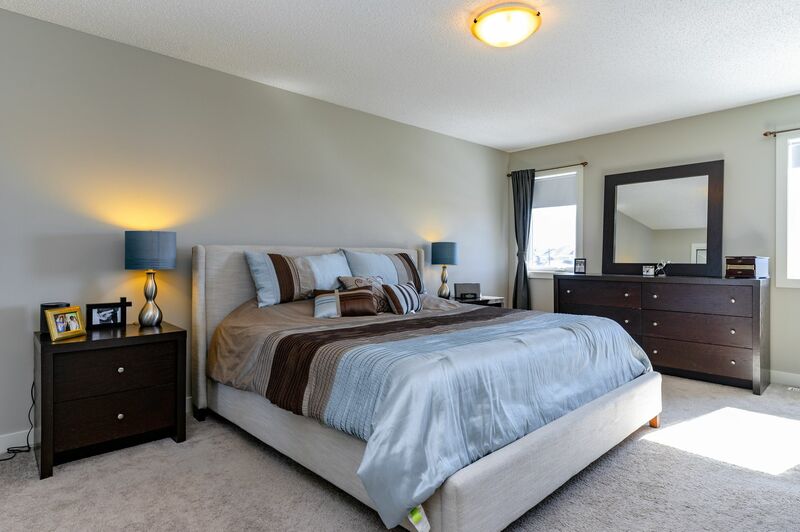 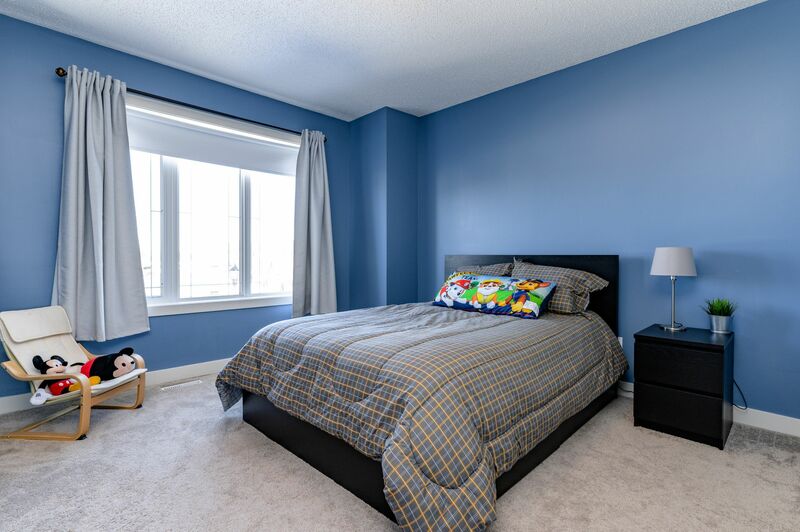 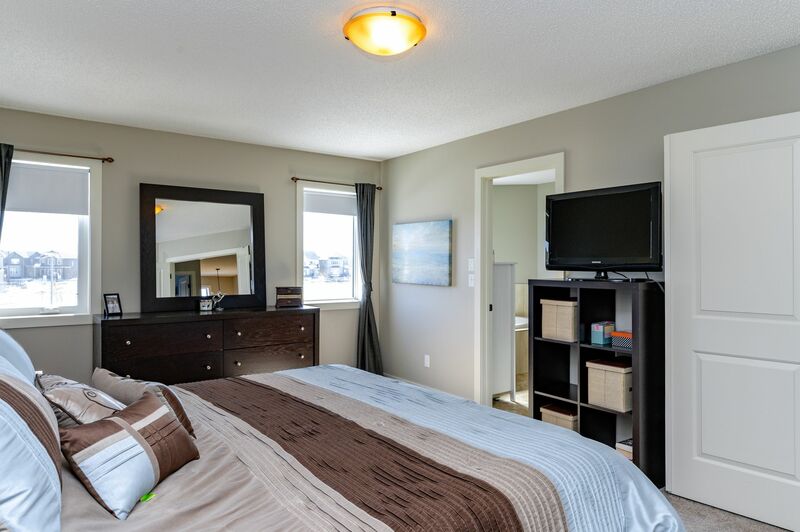 Double doors open to the exceptionally large master bedroom, with a walk-in closet and five piece ensuite. 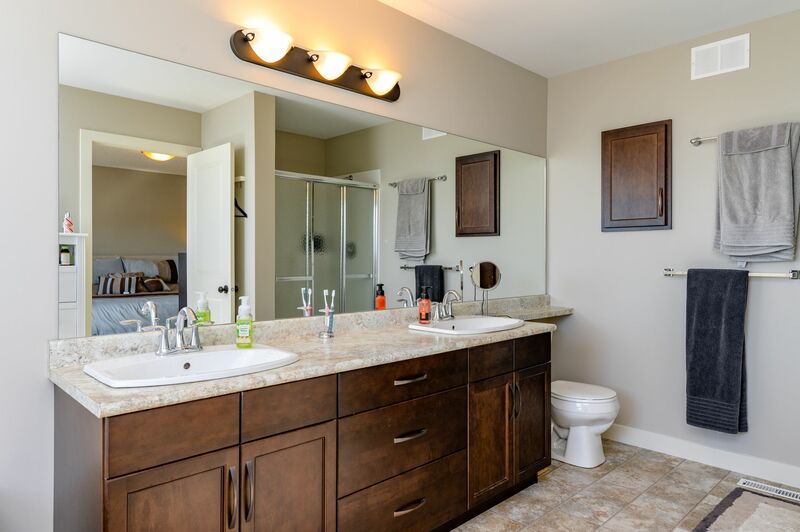 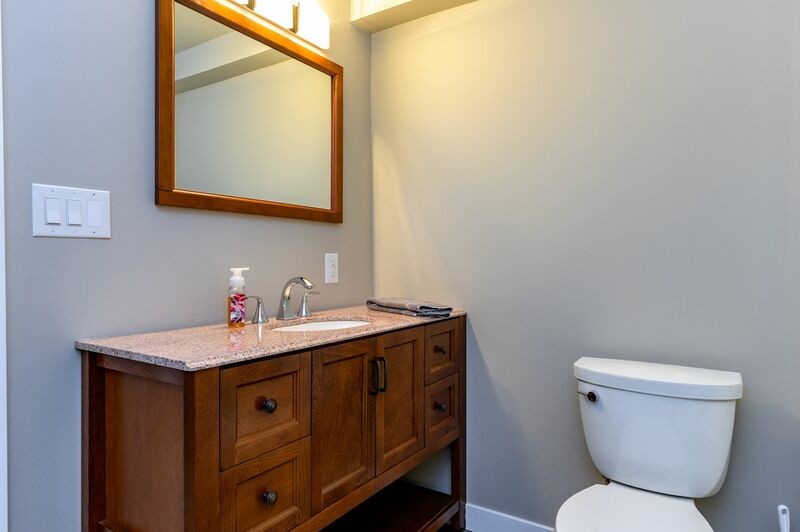 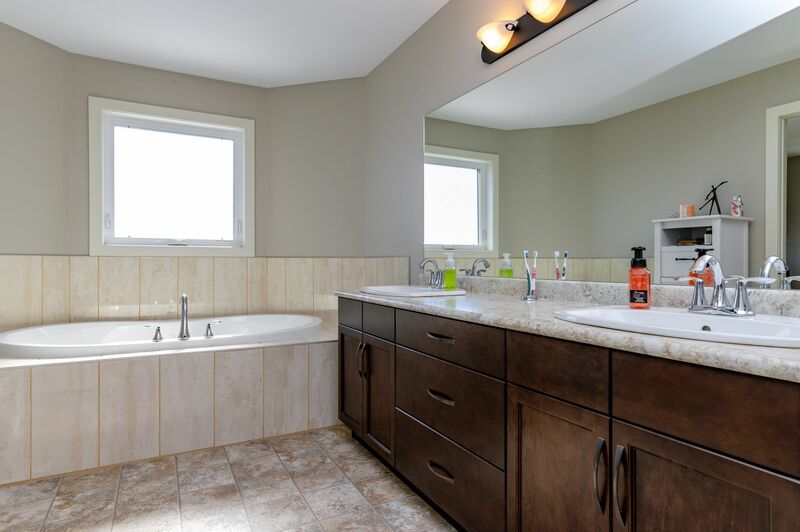 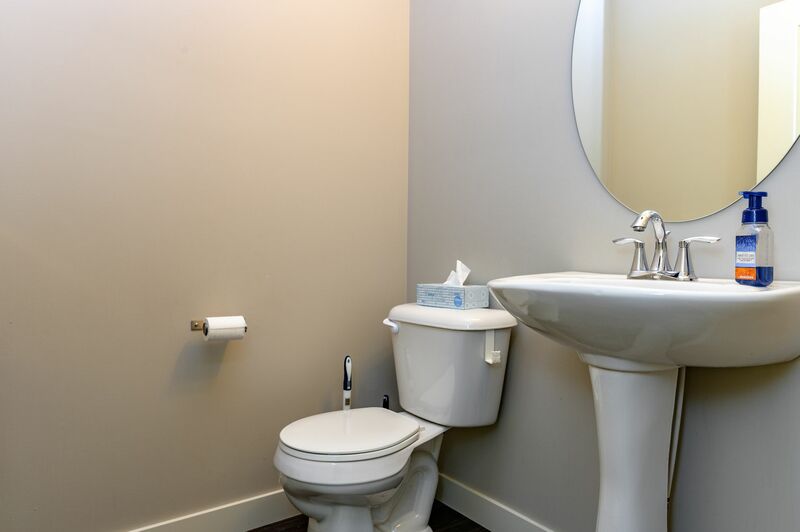 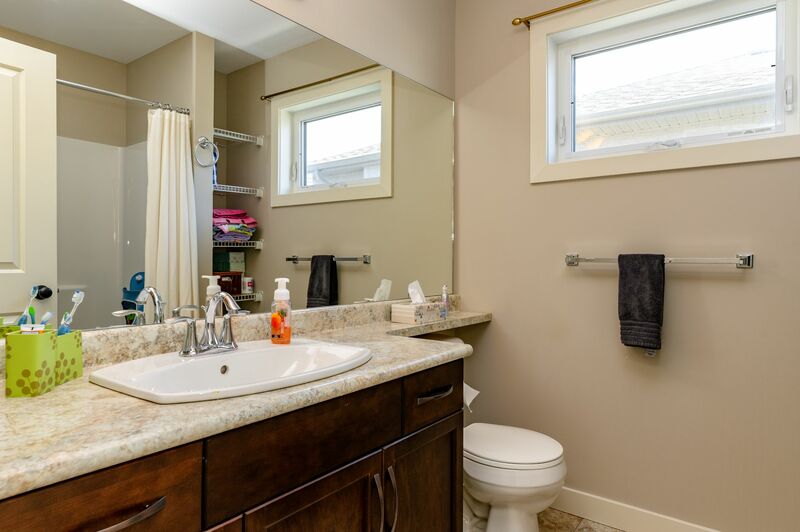 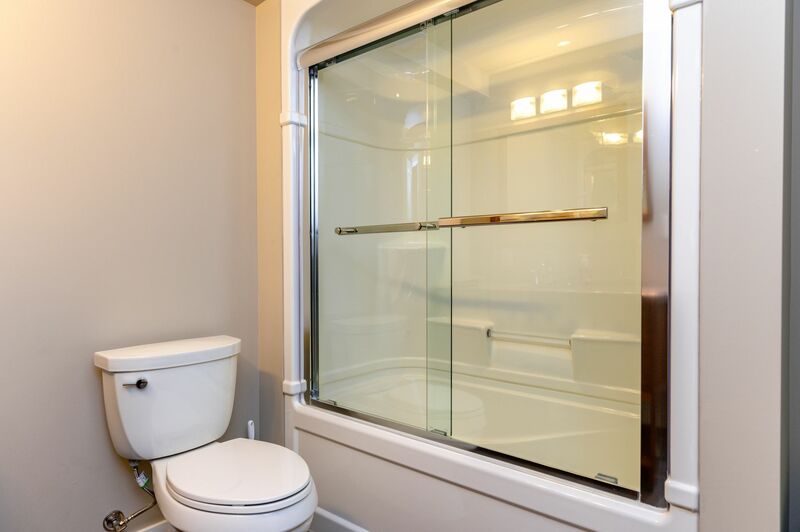 The spacious ensuite features a tiled soaker tub, shower & double sink vanity. 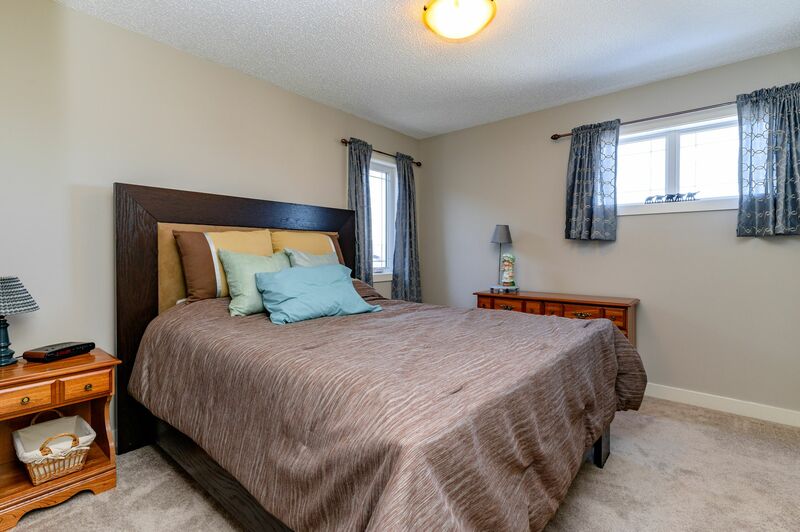 Three additional large bedrooms and full bath, finish off the upper level. 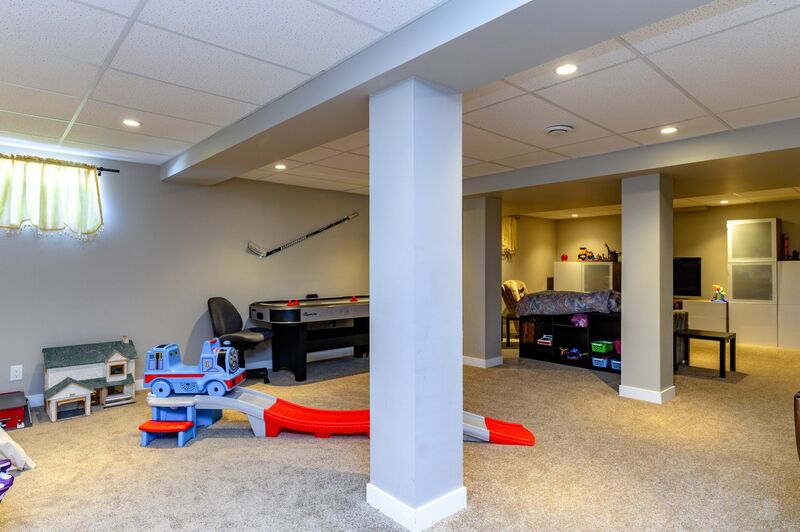 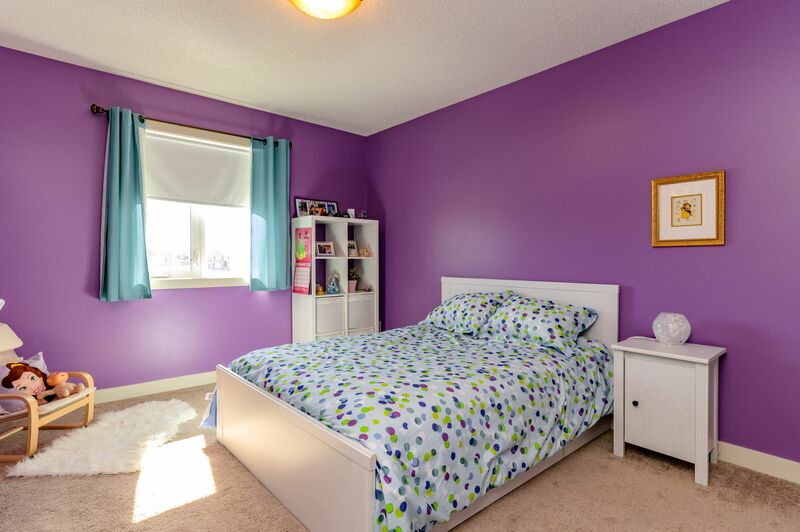 The basement is fully finished with fifth bedroom, third full bath, and an large recroom. 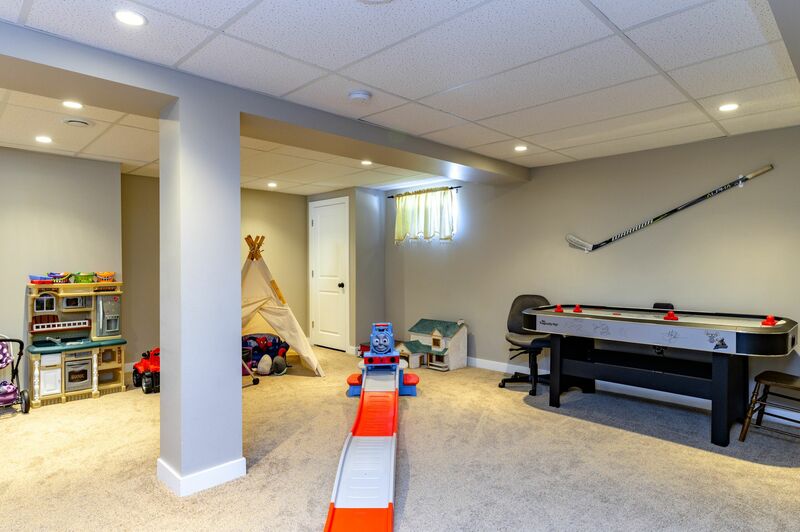 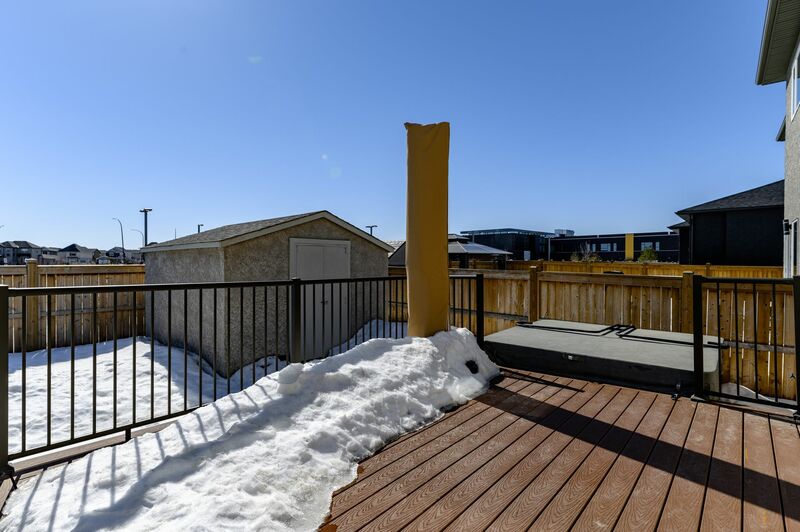 The yard is fully landscaped and fenced, with custom shed, and the double attached garage is insulated and drywalled. 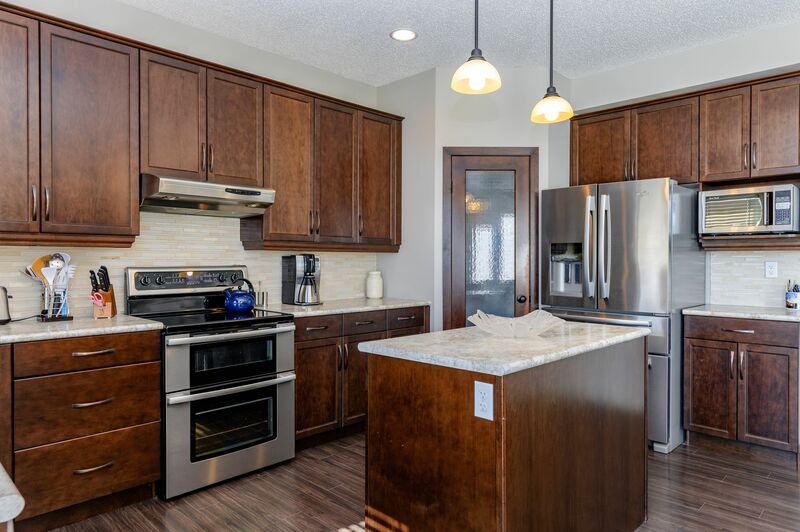 This extraordinary home has been perfectly maintained, and is well located, close to the school, and all the conveniences of Sage Creek. 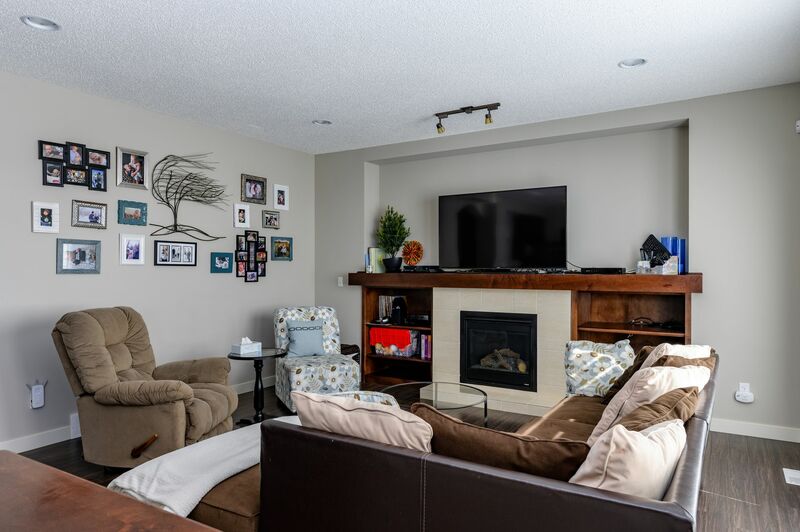 Nothing to do but move in and start making your own family memories . . .